Please refer to our new 2018-2019 CMS calendar to find out workshops’ dates and contact us for more details. Held during the first week of school in August, parents are encouraged to attend a meeting in their child’s classroom. Information about how the child’s day unfolds is part of this discussion. Parents are able to get answers to questions that they may have about specific areas (P.E., homework, etc.) or the school year in general. Journey and Discovery is a one-day, hands-on opportunity to literally travel through the levels of Montessori students, from Toddler Community through Adolescence. The basis of this workshop is to allow adults to put themselves in the shoes of their children for the day and experience the Montessori classroom from the child’s perspective. During the first part of the day parents walk through the classrooms and develop impressions, followed by hands-on use of classroom materials. Participation in Journey and Discovery is required for new parents and is included in the new family fee. Journey and Discovery is offered in the fall and sometimes in the spring. Redirecting Children’s Behavior (RCB) is a five-session parenting seminar that helps parents learn to use the same behavior management strategies that are used at school. These learning experiences are certain to clarify in your mind the logic and benefits of the consistent and continuous nature of a Montessori education. RCB is usually offered twice during the school year. 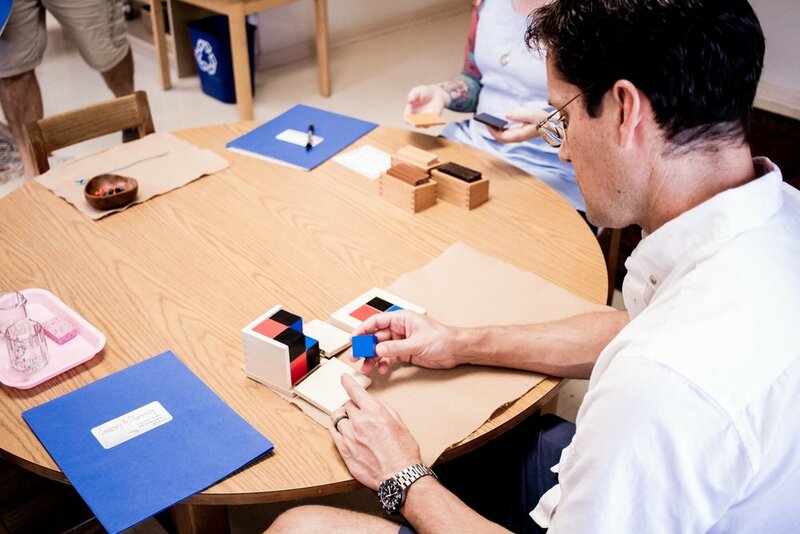 Being A Montessori Parent is an invaluable seminar created to help you understand the principles of Montessori that your child is experiencing at school and offer you some concrete ways to reinforce those experiences in your home. Some specific areas discussed are “Encouraging Independence,” “Establishing Order” and “Helping Children to be Helpful.” This seminar is offered once a year.